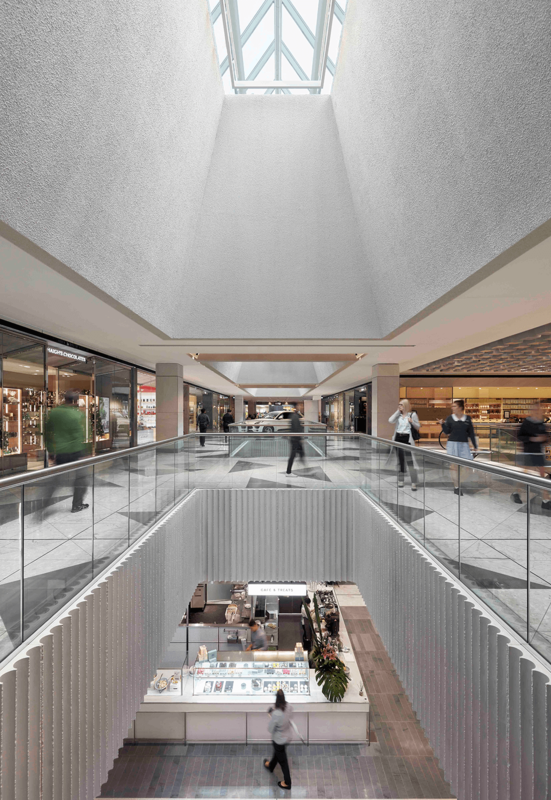 Renewed and repositioned as a luxury mall, re-establishing it as an admired city landmark and retail destination. Redefining the traditional shopping mall. Monaro Mall, the oldest section of the Canberra Centre was opened by Sir Robert Menzies in 1963. 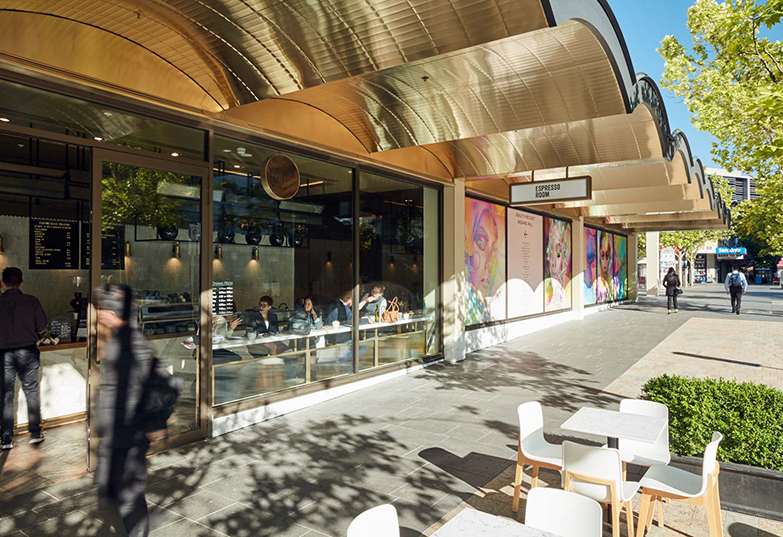 Celebrating this history, the redevelopment reinterprets post-war modernist influences in a contemporary timeless manner, reinstating iconic arched awnings, the Bunda Street entry and multi-level internal circulation and voids. 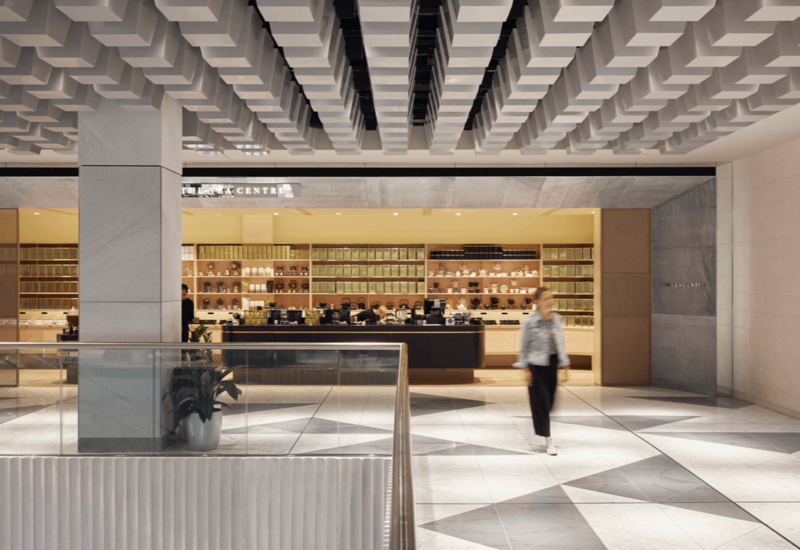 As the nature of retail continues to transform, an important focus was on experience and creating distinct precincts that merge the commercial and cultural. 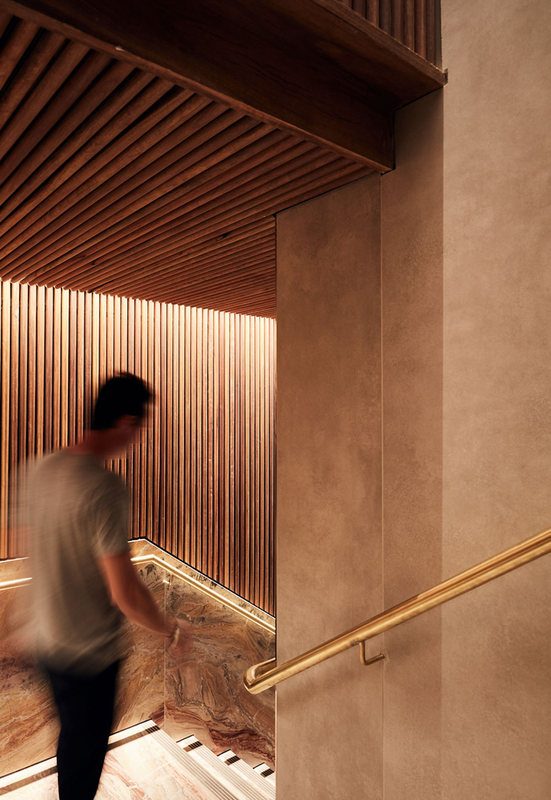 Material and detail choices develop a new rich palette focused on atmosphere, longevity and distinctive character. The Bunda Street entrance has been reinstated with reflective gold soffits and uplighting. A new skylight and double height void with cafe behind add a new sense of luxury. 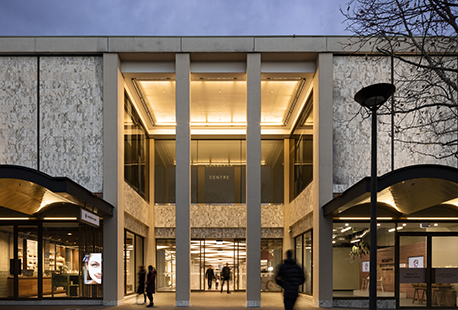 Street orientated retail and hospitality reactivate the external public realm. The ground floor arcade acknowledges the era of the building, but is distinctly contemporary. 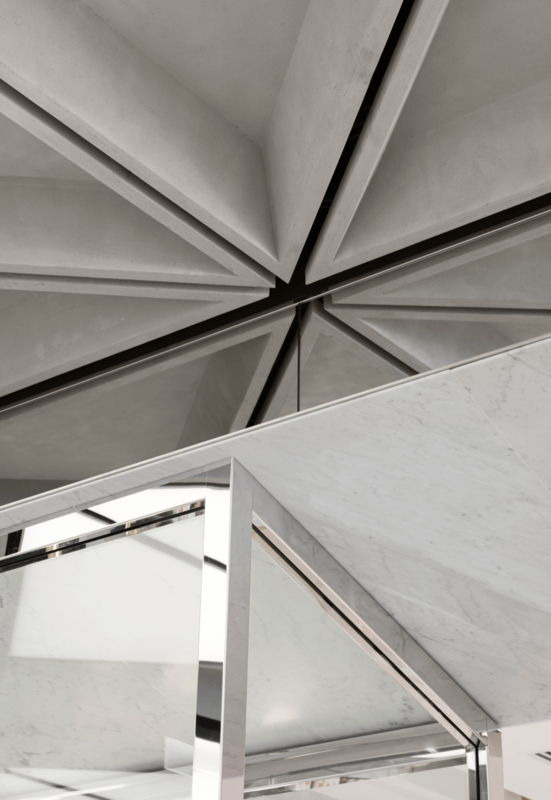 Geometric patterning is expressed in the tapered, honed carrara marble, and grey, sawn cut stone retail portals, the triangular marble and terrazzo floor tiles and the reflected cast concrete coffered ceiling and fluted spandrels. 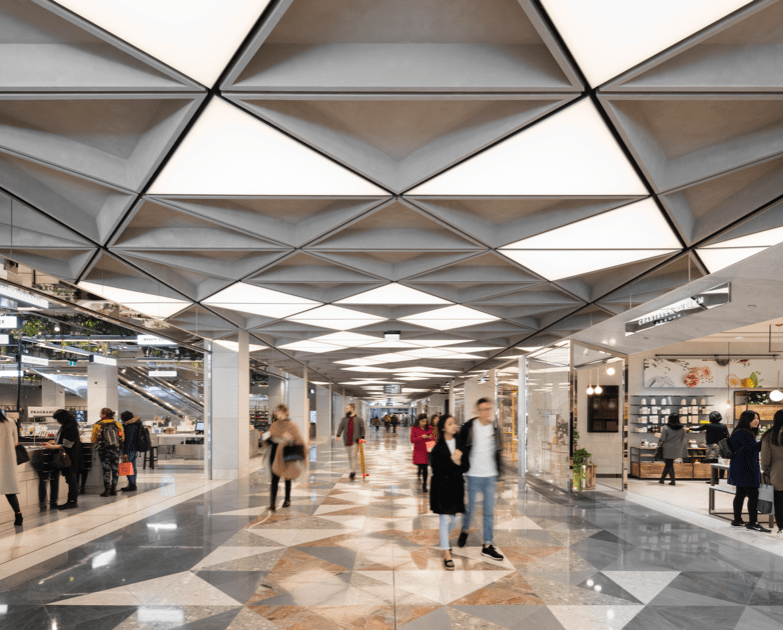 The architectural expression of the first-floor arcade is wider with central kiosks, while multi-level vertical circulation and voids have been re-introduced, providing theatrical views and encouraging exploration, while new large-scale coffers frame the existing skylight to add drama. 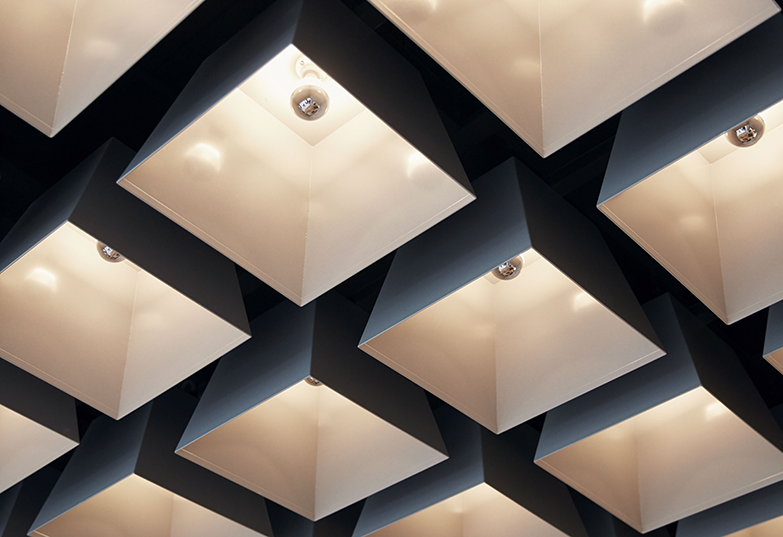 A play of light and dark helps to define space, guide movement and provide intimacy. 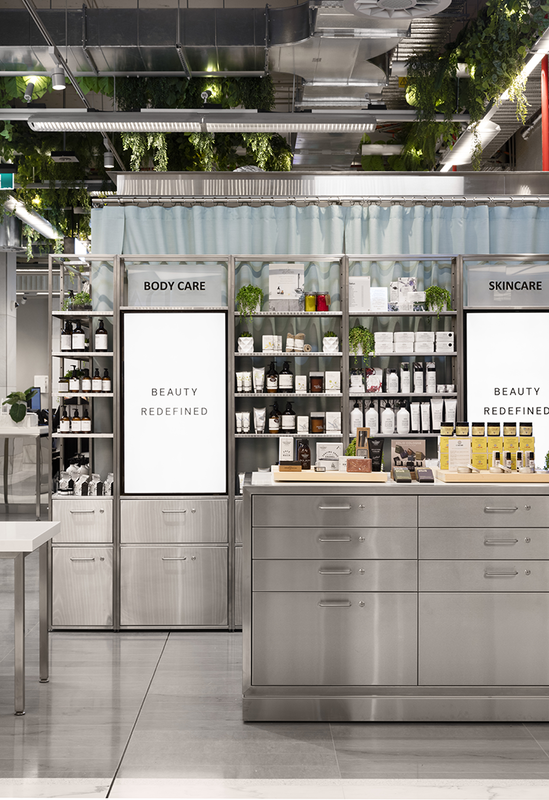 In contrast, the Beauty Garden has been developed on a new market typology, where small format tenancies can have short-term leases, with modular stainless-steel joinery. Strong emphasis was placed on the integrated specialist lighting design that contributes to the experience. 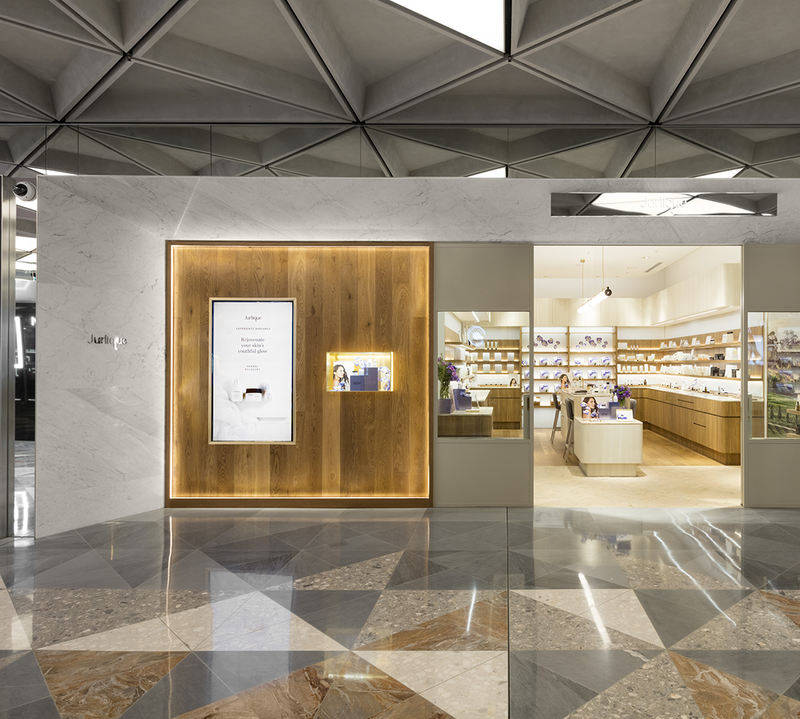 On the ground floor Barrisol light boxes are integral to the coffered ceiling, while a layered grid of planting, track lighting and ambient lighting is used within the beauty garden.